Q. 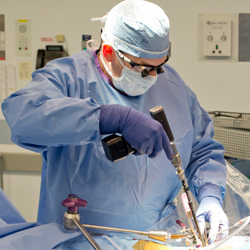 Does SpineNevada Minimally Invasive Spine Institute use lasers when performing spine surgery? Is laser spine surgery better than traditional spine surgery? A. Americans can be attracted to reports of new technology or gadgets as the miracle cure for any ailment. The idea of a laser with surgery certainly sounds high tech. On the other hand, lasers are often used to burn through thick metal doors. 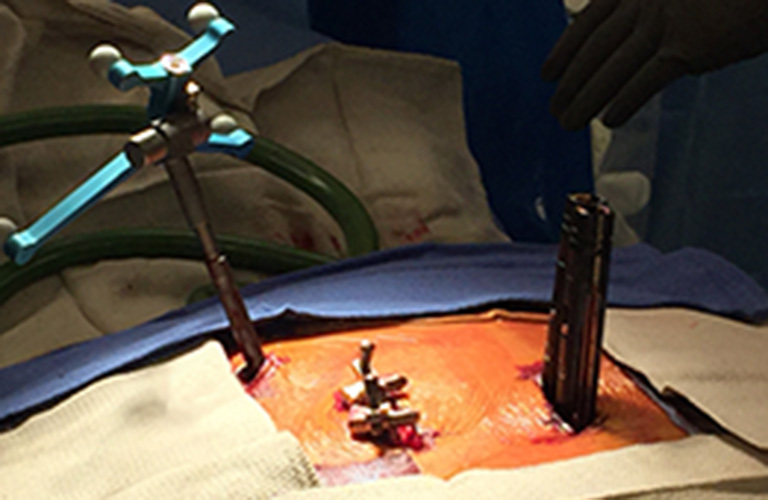 Considering that, does one really want that type of cutting device near one’s spinal cord? Opinions differ about the use of lasers with spine surgery, just as there are differing opinions about many advances in technology in medicine. We at SpineNevada do not believe laser spine surgery provides a clinical benefit over minimally invasive spine surgery, and perhaps may pose some unnecessary risks. Consequently, we don’t do laser spine surgery, nor use lasers during spine surgery, nor do we recommend that technology. There really is no difference between the laser spine surgery and traditional spine surgery except for how the damaged disc tissue is removed. 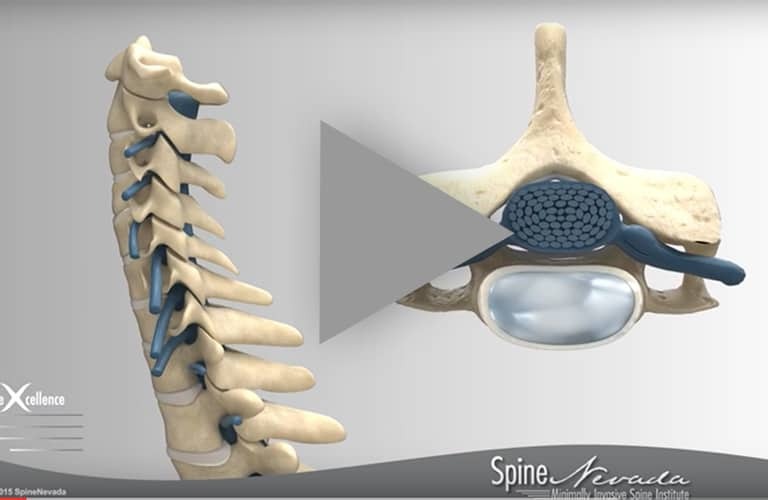 Both minimally invasive spine surgery and laser spine surgery require a “laminectomy” or “laminotomy” where parts of the bone in the spine are removed to provide a window for the surgeon to access the herniated disc. Under traditional spine surgery, the surgeon using a microscope or endoscope, is then able to see the part of the disc that is pressing on a nearby nerve root and simply removes the problematic disc tissue with a tiny incisor tool. 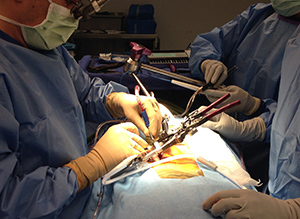 With laser spine surgery, the surgeon at this juncture simply uses the laser to heat and vaporize the disc tissue. The Cochrane Review, which summarizes complex medical research, doesn’t cite any superior benefit for the use of laser spine surgery, and that is our personal opinion as well. 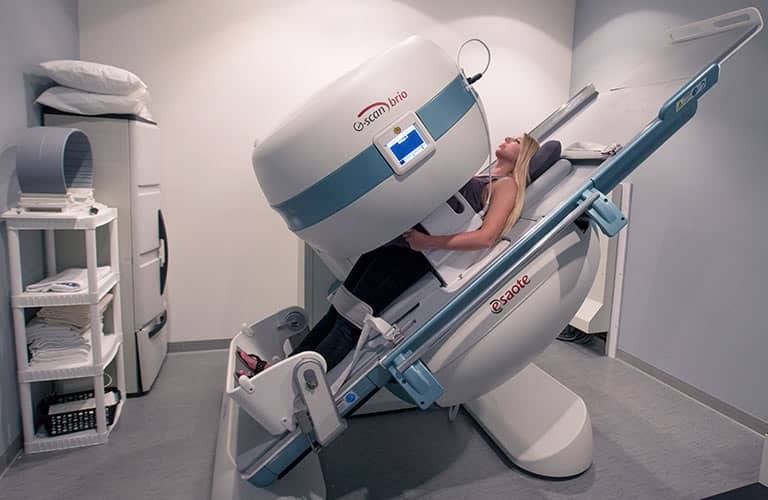 With that said, SpineNevada is a huge advocate of appropriate technology where it shows benefit to the patient. SpineNevada has invested heavily in minimally invasive spine surgery instruments and technology, as well as the surgeon training to be proficient with this technology.